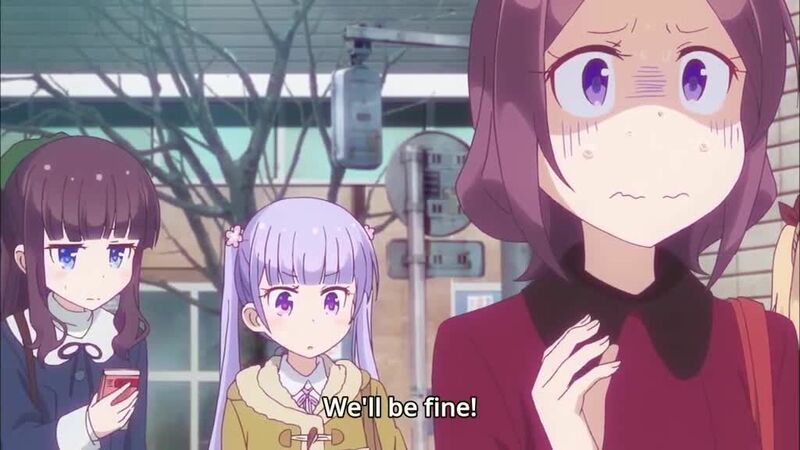 You are going to Watch New Game! Episode 12 English subbed online free episodes with HQ / high quality. Stream Anime New Game! Episode 12 Online English sub One of My Dreams Came True! The girls get together to buy their own special edition copies of Fairies Story 3 as it goes on sale. They soon panic when word of the plot spreads on the internet after Hajime and Nene inadvertently discuss some spoilers out loudly, though they soon discover it have come from those who have gotten advance copies. Later, at a wrap party is held for everyone who worked on the game, Ko becomes anxious when Hazuki approaches her about being the Art Director for the next project. Hazuki explains to Aoba that when Ko was the Art Director for Fairies Story 2, her strict demeanor led to a new hire quitting, which hit her pretty hard. Aoba then asks Ko to sign her game, expressing her gratitude for everything she’s done for her and assuring her that she’ll make a great Art Director.